free! M Series clock upgrade. 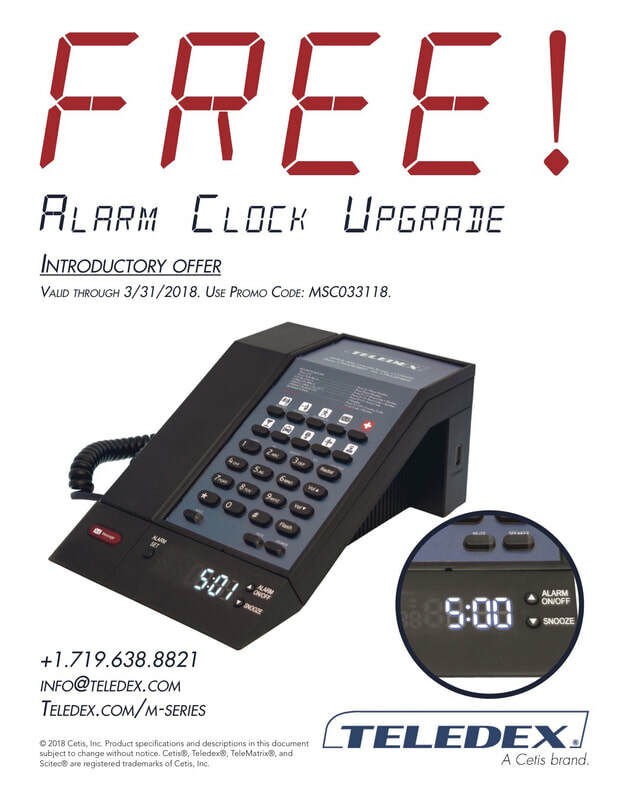 Act now to order your new Teledex M Series telephones with the new LED Clock feature upgrade. This is a limited time upgrade offer available through March 31, 2018. Click here for product details. Complete the form to request a quotation. For your convenience, the free Clock upgrade promotion code has already been pre-populated on the Request box.